Check out our video for step by step instructions on how to prepare and print 1099 forms using QuickBooks Online. 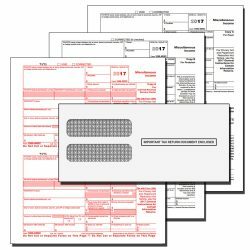 This video has all the information you need to accurately and efficiently file your 1099 vendor tax forms. Or if you prefer, read through our detailed guide at your own pace below. Preparing and printing the QuickBooks 1099 Year-end form from QuickBooks Online Plus is very different from printing QuickBooks 1099 Forms from the desktop editions. With this in mind, we are providing you with the “how to” on printing 1099 forms from QuickBooks Online Plus. Keep in mind, you will not be able to print forms from QuickBooks online editions Essentials and Simple Start. Therefore, consider upgrading to the QuickBooks online Plus edition if you need access to the QuickBooks online 1099 form wizard. First, review the vendors in the vendor center, edit the vendor and mark the box Track Payments for 1099. Merely selecting this box “Tracking payments for QuickBooks 1099” forms will not generate a 1099, QuickBooks Online 1099 wizard will determine if the vendor has been paid more than $600 in cash and checks. Additionally, QuickBooks Online 1099 wizard will give you the opportunity of electing NOT TO SEND a QuickBooks 1099 form. Third step is to begin the QuickBooks Online 1099 Wizard. Click Expenses > Vendors > Print 1099> Review your Name, Address, and Tax ID, make any changes and Save> Next Specifically, the assign payments to 1099 category page is asking you to identify those categories (chart of accounts) that might contain a payment you would want included in a 1099 form. . For Box 1: Rents on the QuickBooks 1099 form, choose those chart of accounts you use to post rental payments to by placing a checkmark next to the account. For Box 7: Nonemployee Compensation on the QuickBooks 1099 form, select all accounts that may have a payment for services posted to it. QuickBooks Online 1099 wizard provides you with another opportunity to select which vendors should receive a QuickBooks 1099 form. 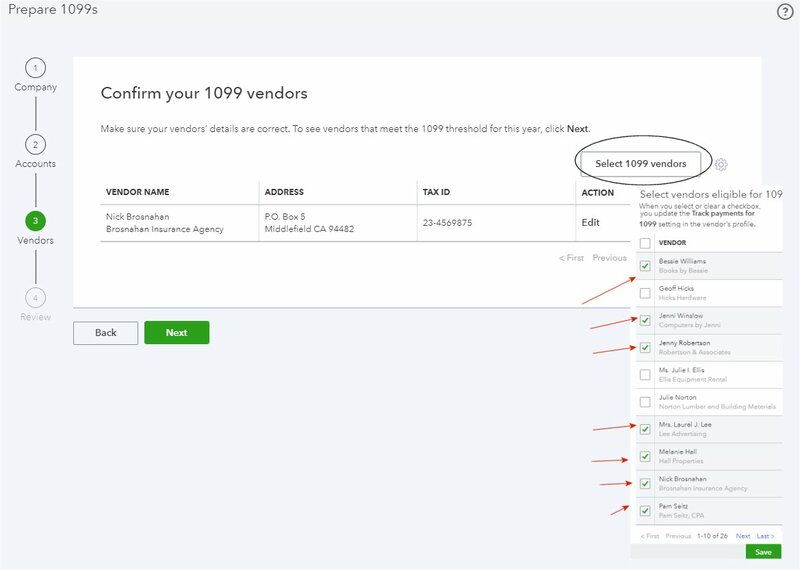 Click Next To Clarify, find vendors that you forgot to mark eligible for a 1099 form. 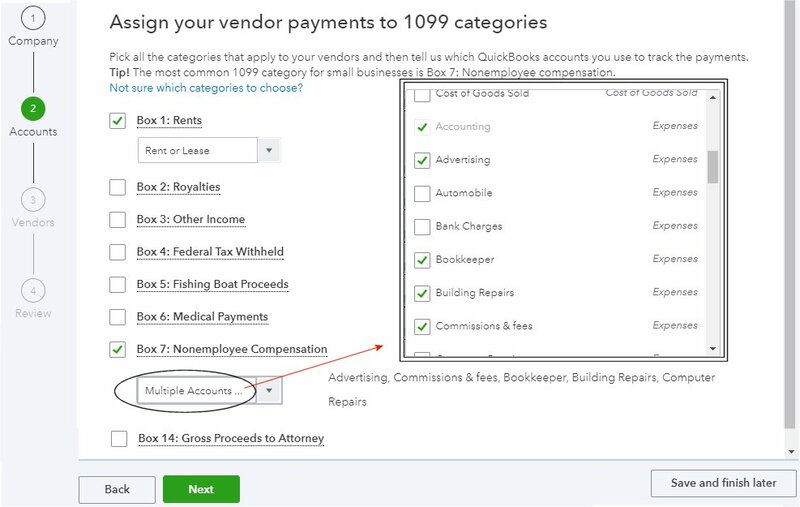 When you check the box, QuickBooks updates the vendor record by checking the box “Track payments for 1099” form. Finally, we have arrived at the “almost” equivalent report to the QuickBooks desktop 1099 report, the QuickBooks Online 1099 wizard presents a summary of vendors who will receive a 1099 form. An FYI: The excluded column will total the payments you made to vendors with a credit card and debit card. To the end that these payments should not be included in the QuickBooks 1099 form because the merchant/bank is responsible for reporting that payment. Another key point on this same window are the two reports listing vendors who will not receive a 1099 form because they did not receive over $600 in cash and checks or they were not marked for 1099. Reviewing these reports will help you identify vendors you may have missed. To summarize, the QuickBooks Online 1099 wizard is almost as good as the desktop report. Notably, the QuickBooks desktop edition offers one more option that the QuickBooks online review report does not. 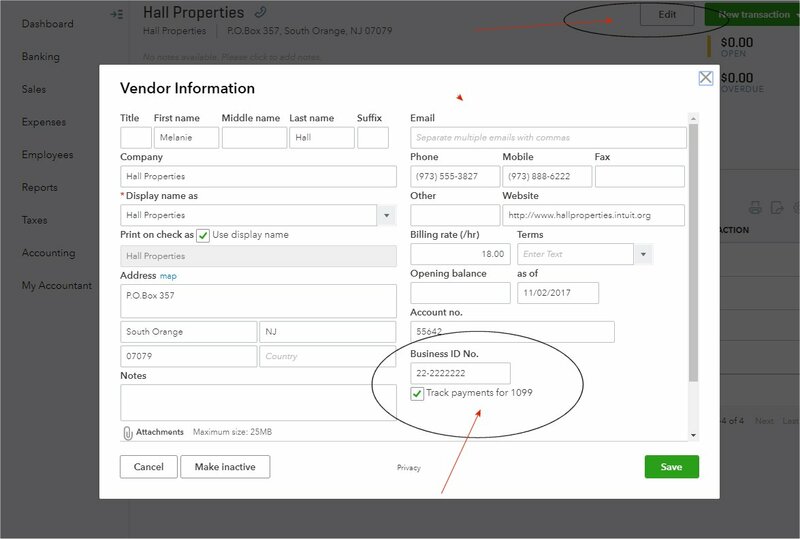 The QuickBooks desktop 1099 report gives you the option of displaying all accounts, not just the 1099 mapped accounts. Consequently, this added feature is a list of payments NOT included in the 1099 under an “uncategorized” column. An extremely helpful feature in the event you were not consistent in posting payments for the vendor to only 1099 mapped accounts. Consider requesting this feature by clicking on the GEAR at the top right of the screen and providing feedback. At this point, you can save and finish later as you gather any missing information.